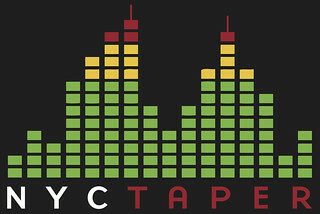 This was the week of the overwhelming, PR-driven quasi-festival known as the CMJ Music Marathon, meaning there were hordes of tired concertgoers and touring bands around by the time the week wrapped. Taking advantage of that, and perhaps bringing the vibes of our own scene back to earth were the already-legendary concert promoters/magazine Ad Hoc, who rented out a vacant car wash (and its adjoining parking lot) to put on a sprawling ten-band bill that boasted the best of local and touring acts. This event felt like an appropriate evolution for the neighborhood that once housed the best-known DIY venues of the prior decade: Here you had an unused commercial space converted to creative purposes, albeit this time with plenty of bathrooms, quality (and cheap and cold) beer by the can, and even a couple of food trucks. 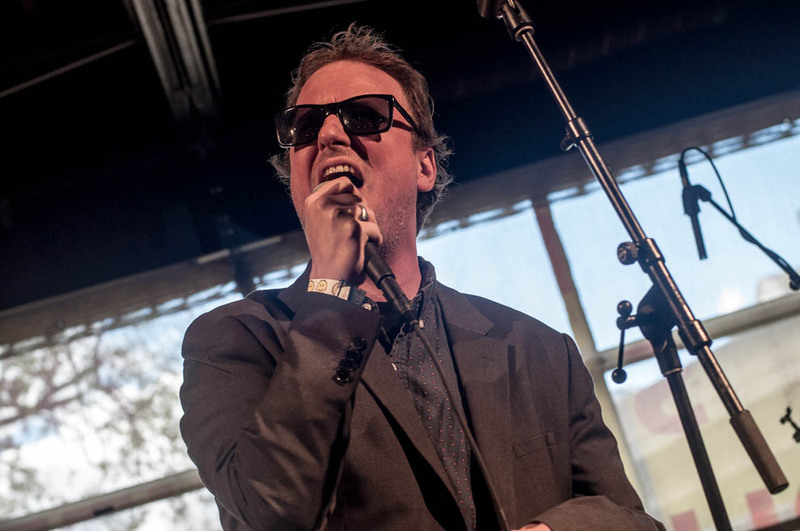 If you went to a CMJ event this year, chances are you might have caught Protomartyr, who were all over the place at this year’s fest making the case for their recently-released third record The Agent Intellect. The Detroit band saw some heat from their last album, Under Color of Official Right, but consensus seems to be that it’s this new offering that is going to break them into wider consciousness. That’d be a more than fair outcome, as this thirty-minute, ten-song set showed off the best of their material, including “Scum, Rise!” from their previous record and a decent chunk of the new album. Frontman Joe Casey doesn’t exactly match the band’s sound or words, performing as he does in a weirdly-dapper dark blazer and sunglasses, but beneath that veneer boil bleak, personal tales set against the backdrop of the band’s hometown, such as the signature track “Pontiac ’87”. Though you could see the daylight streaming through behind the band (filtered only by the yellow car wash sign), they held the atmosphere where it needed to be, trapping the nervous energy within the stripped brick walls. Compared to some of their harder-edged peers who would share the stage throughout the day, Protomartyr were a bit more “musical” band than some of the other fare, and that’s part of what makes them special. If this CMJ was “their year,” then I say they’ve earned it. I recorded this set with Audio Technica 4051 microphones and a soundboard feed from Ad Hoc’s staff. The sound quality reflects the “DIY” nature of the venue, but is still quite good. Enjoy! 10 Why Does It Shake? If you enjoyed this recording, please like Protomartyr on facebook and buy their records from Hardly Art.